﻿Is your doggo getting worse? With years, dogs tend to have back problems and leg problems that can be causing problems with walking or getting up and down the stairs. You don't need to make your dog going through this alone - with our Dog Lift Harness you can ease daily walks for your old or injured furry friend! 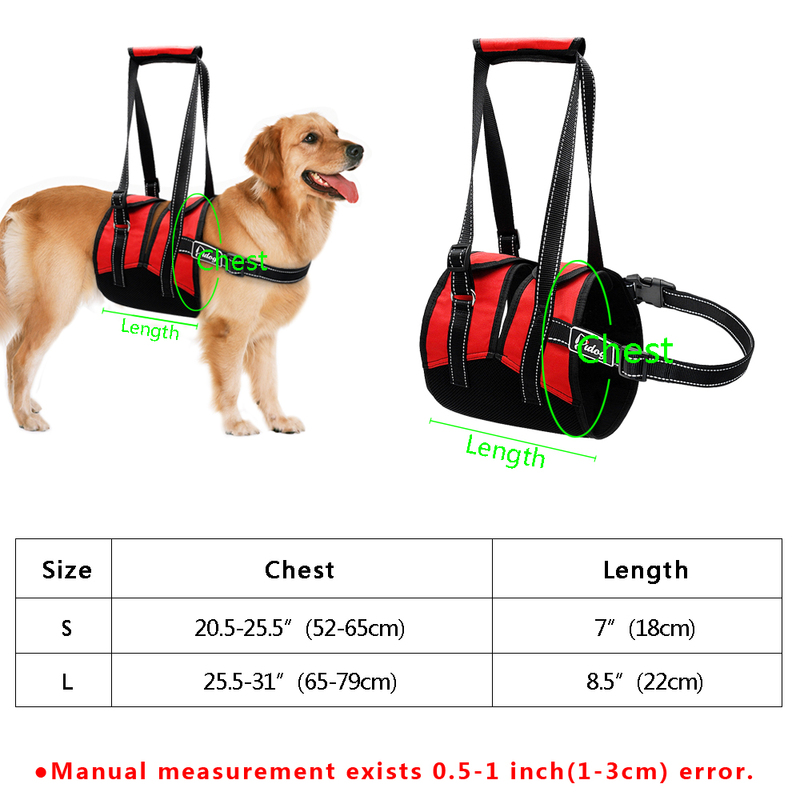 UNMATCHED QUALITY - This injured dog harness is the No Bunching, Premium, Patented Dog Support Sling with Leash and Handle - Quality you can feel - Adjustable for Height - Easy to Use - Includes Stay on Straps. PADDED FOR COMFORT - the support pad combines two types of padding, one for cushion and the other to prevent the sling from bunching up. The side that comes in contact with your dog's skin or fur is lined with soft corduroy, while the exterior is made of durable nylon. MACHINE WASHABLE & DRYABLE. 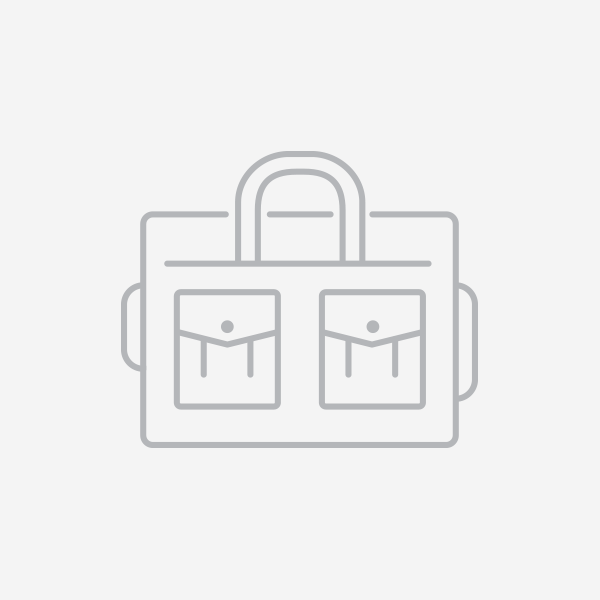 INTEGRATED LEASH for CONTROL & SAFETY - Attached leash may be connected to a collar for speed control, a chest harness for added support, or detached if needed. 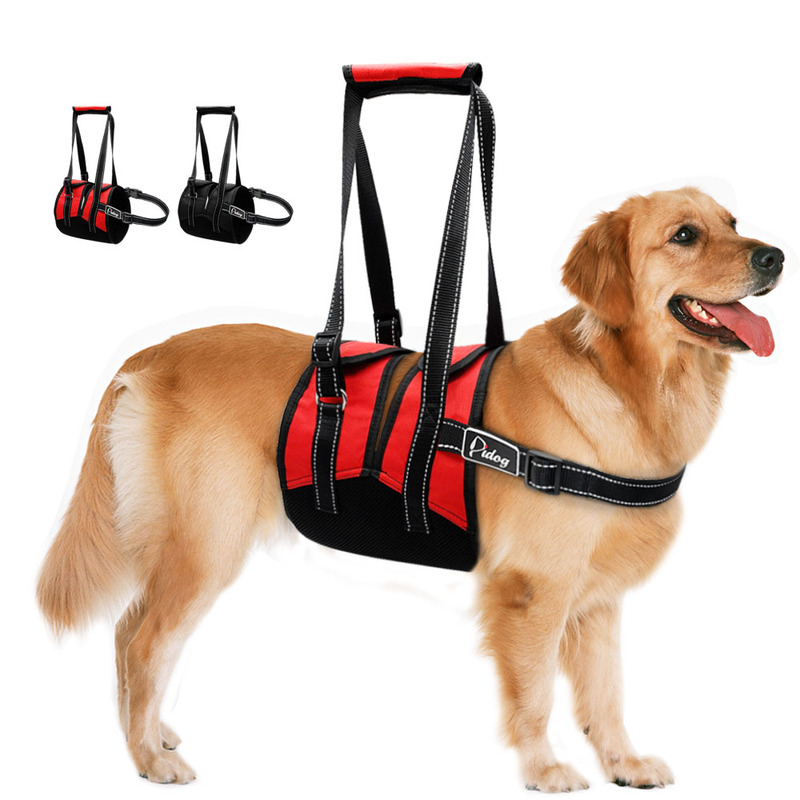 Great for assisting dogs up and down stairs, in and out of a vehicle, for walks or just going potty. 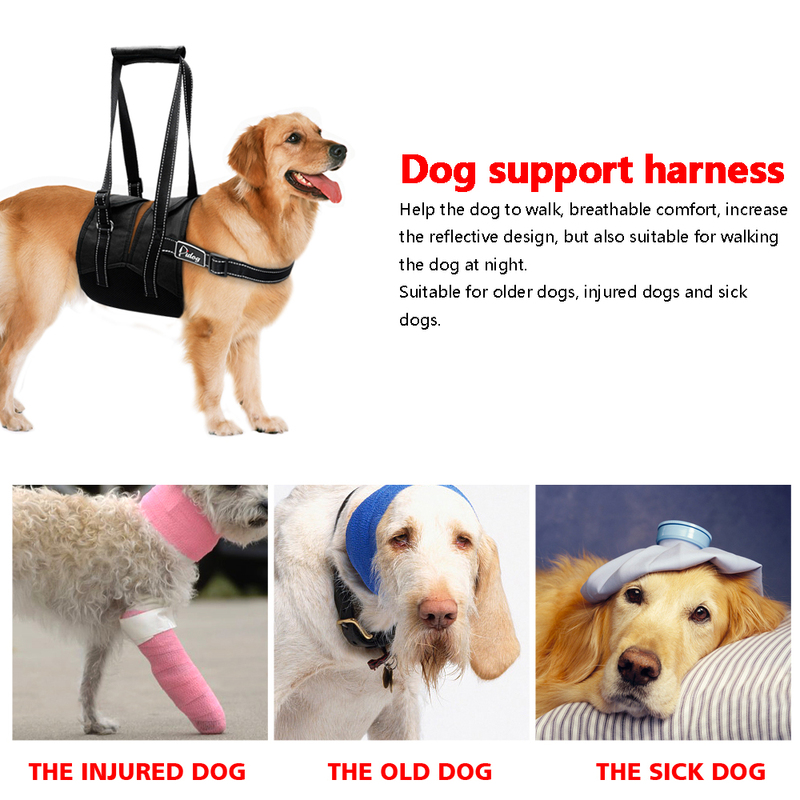 DOG HARNESS - Brace and stabilize your pets weak hind legs after surgery or during rehabilitation, creating an easier life when climbing stairs or getting into the car.